"It is for the Saint to kneel." The line between persistence and insanity is thin. Like a raincoat, the worst of the water stays out, but there's nothing to prevent you sweating inside. Rain falls incessantly on your shell, but insanity makes it feel like the rain has been coming from inside all along. We are all familiar with the story of Joan of Arc, her fame made of stronger stuff than today's Insta-celebrities, dedication to her holy mission not at the border of persistence and insanity, but fully entrenched in both. What's true and what's legend is immaterial to the iconic status she's achieved today. 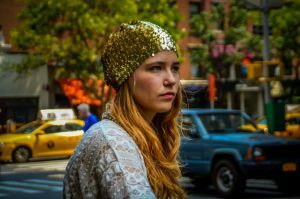 Bernard Shaw's Saint Joan isn't about telling her story truthfully (and honestly, what drama can claim to be truthful anyway? ), but instead asks us to consider the long tail of injustice, and shines a light on the way legacy is created long after you're dead. If you're accustomed to watching Game of Thrones, with its cinematic soundtrack and pounding hooves, Saint Joan will drag. It takes full advantage of its 2 hours and 45 minutes, though all the "action" takes place offstage. To the disappointment of some, perhaps, you don't actually see Joan burn at the stake, nor do you see her battle at Orléans, nor do you see her injured at Tourelles. Rather, this Joan is untouchable, her conviction as impermeable as her will, and the action lies entirely in moral discussion. The wonderful costumes, designed by Jane Greenwood, were certainly a highlight. Chain mail can weigh up to 20lbs, but the actors moved lithely and without encumbrance. I suspect they used some ultra-light material, although it still clinked and moved exactly like chain mail ought. Perhaps the actors were particularly strong? Despite the convincing historical costumes, the set significantly detracted from my enjoyment. I think it was supposed to look like organ pipes, with enormous gold cylinders hanging from the ceiling and shifting configurations between scenes. I appreciate their nod to Joan's piety - organs being a robust symbol of the Gothic Church - but they completely, utterly, unapologetically dominated the stage. Actors looked ant-sized next to them, and from my side-rear mezzanine seat the voices sounded completely muffled, no doubt, due to the strange acoustics of hanging tubes. For a show that evoked so much truth from the 1400s, the hanging pipes were a giant red thumb in the nose of history. I won't critique Shaw's story itself, nor the historical accuracy of the drama (I'm sure he took liberties). 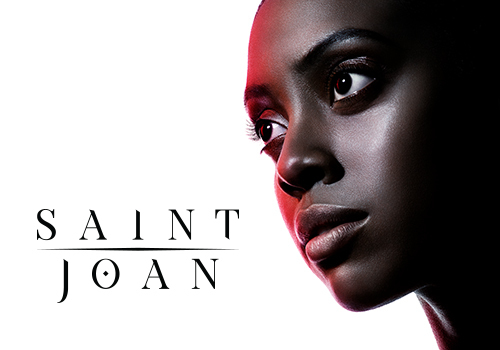 It's worth seeing this production simply to see Condola Rashad in a career-defining role, though Joan is given far less stage-time than her character warrants or deserves. At the end, when she is finally canonized in Charles VII's dream (a la Wizard of Oz), the ones who wronged her kneel: King, Cardinal, soldier all. Her equanimous disposition and holy compassion rise above them all. "It is for the Saint to kneel," she explains. And yet, despite their words of respect, her wrongdoers still abandon her one-by-one to the land of the dead. They all seem afraid of her living legacy, and know they are only relevant because she remained so. She asks, "How long until the world is ready to receive its saints," and we know the time has not yet come.